We sometimes forget how the Buddhist teachings came into being. We forget why the Buddha left his father’s palace. Dissatisfied with maintaining an illusion, he wanted to understand his life—and life itself. Why are we bewildered? Because we don’t understand how our mind works. 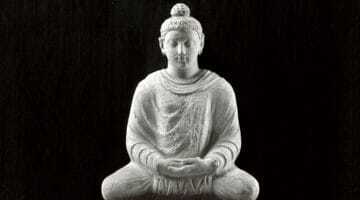 Just like the Buddha, most of us would like to discover some basic truth about our life. But are we really capable of knowing what’s going on? This is a question that relates to the most profound truth of the Buddhist teachings. The Buddha’s answer is, “Yes, ultimately we are. But we need to go on a journey of meditation to find out, because essentially we are in a state of bewilderment.” Why are we bewildered? Because we don’t understand how our mind works. The process of undoing bewilderment is based on cultivating the ability to become familiar with, stabilize, and strengthen our mind. Being aware and observant of what’s happening in our mind gives us an opportunity to see a more profound level of truth all the time. In the practice of meditation, we learn to zoom back and get a bigger perspective, rather than always thinking so small. Shamatha, or mindfulness, meditation is how we make this mind more stable, more useful. The Buddha understood that if we want to go on any kind of journey—not just a spiritual one but also a secular one, such as studying or doing business—we need a mind that is workable. We need a mind that we can rely on. That’s the notion of training the mind, of making the mind workable so it can do whatever it needs to do. Shamatha, or mindfulness, meditation is how we make this mind more stable, more useful. From this point of view, shamatha is not purely a Buddhist practice; it’s a practice that anyone can do. It doesn’t tie in with a particular spiritual tradition. If we want to undo bewilderment, we’re going to have to be responsible for learning what our own mind is and how it works, no matter what beliefs we hold. The word shamatha in Sanskrit (Tib. : shi-ne) means “peacefully abiding.” Peacefully abiding describes the mind as it naturally is. The word “peace” tells the whole story. The human mind is by nature joyous, calm and very clear. In shamatha meditation we aren’t creating a peaceful state—we’re letting our mind be as it is to begin with. This doesn’t mean that we’re peacefully ignoring things. It means that the mind is able to be with itself without constantly leaving. At the same time we begin to see that our mind isn’t always abiding calmly or peacefully. Perhaps it’s abiding irritatingly, angrily, jealously. Seeing all of this is how we begin to untangle our bewilderment. Meditation is a very personal practice. 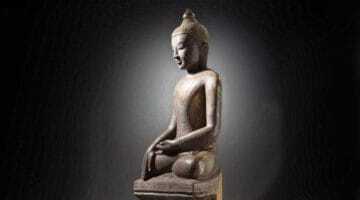 Just like the Buddha, we can approach it by way of valid cognition: “What is truly valid? What is the truth of my experience?” We begin to realize what we don’t know, and we become curious. We are all capable of being Buddhas, whether or not we are Buddhists. In doing so we leapfrog from question to answer, with each new answer leading to a new question. And if we persist we begin to experience another truth that the Buddha also discovered: in every situation there is the continuum of the truth. Each answer is followed naturally by the next question. It’s seamless. With this kind of practice and inquisitiveness, the Buddha learned to look at the landscape of life in a clear, unbiased way. When he began to teach, he was just reporting his observations: “This is what I see. This is the truth about how things are.” He wasn’t presenting any particular viewpoint. He wasn’t preaching dogma; he was pointing out reality. We forget this. For example, most people would say that one of the key teachings in Buddhism is karma. But the Buddha did not create karma; the Buddha just saw it and acknowledged it. Saying that karma is a Buddhist belief is like saying that Buddhists believe water is wet. And if you’re a Buddhist, you must also believe that fire is hot! In meditation, what we’re doing is looking at our experience and at the world intelligently. The Buddha said that this is how we learn to look at any situation and understand its truth, its true message, its reality. This is what a Buddha does—and we are all capable of being Buddhas, whether or not we are Buddhists. We all have the ability to realize our naturally peaceful minds where there is no confusion. We can use the natural clarity of our mind to focus on anything we want. But first we have to tame our minds through shamatha meditation. Perhaps we associate meditation with spirituality because when we experience a moment of peacefully abiding, it seems so far-out. Our mind is no longer drifting, thinking about a million things. The sun comes up or a beautiful breeze comes along—and all of a sudden we feel the breeze and we are completely in tune. We think, “That’s a very spiritual experience! It’s a religious experience! At least worth a poem, or a letter home.” Yet all that’s happening is that for a moment we are in tune with our mind. Our mind is present and harmonious. Before, we were so busy and bewildered that we didn’t even notice the breeze. Our mind couldn’t even stay put long enough to watch the sun to come up, which takes two-and-a-half minutes. Now we can keep it in one place long enough to acknowledge and appreciate our surroundings. Now we are really here. In fact, this is ordinary. We can bring the mind under our own power. We can train it to be useful and workable. This is the not just the point of being Buddhist, it’s the point of being human.